Jose Lugo y Su Conjunto will perform during the Narciso Martinez Cultural Arts Center’s 3rd Thursday of the Month Conjunto Nights on March 15 at La Villa Dance Hall in San Benito. This week, I’ll present a round-up of some of the most anticipated Tejano, conjunto, and cultural events for the month of March. 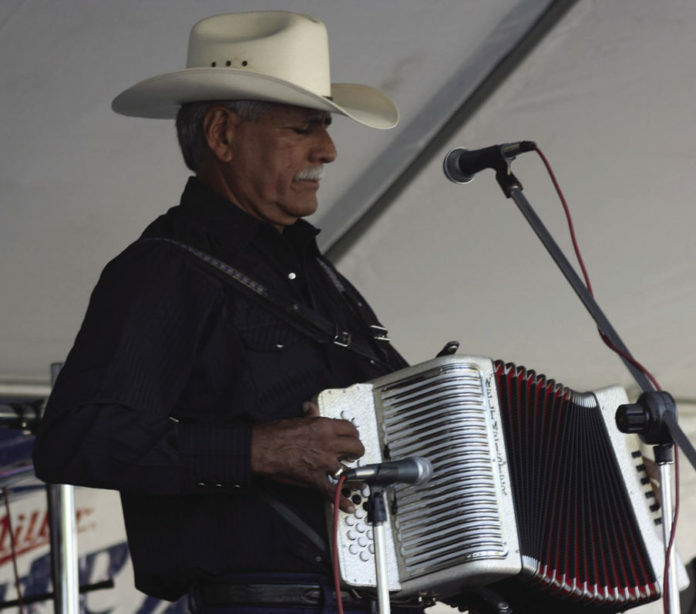 >> The Narciso Martinez Cultural Arts Center (NMCAC) will be hosting Juan Lugo y Su Conjunto at La Villa Dance Hall in San Benito on March 15 for their monthly “3rd Thursday of the Month Conjunto Nights.” Lugo is a popular accordionist in this area and a regular at the NMCAC. Tickets are $5. Music starts at 7 p.m. For more information, call (956) 367-0335. The NMCAC is also hosting a special event on the birthday of César Chávez: Labor leader and civil rights activist Cesar E. Chavez’s birthday is on March 31, 2018. Jose Angel Gutierrez, PhD, JD. Emeritus will present a tribute to Chávez’s legacy. Dr. Gutierrez has written a book, “The Eagle Has Eyes: The FBI Surveillance of César Estrada Chávez & The United Farm Workers Union of America, 1965-1975,” Michigan State University Press, expected release date of May 1.” For more information you can call that same number. >> The NMCAC made the announcement that their 26th annual conjunto festival will take place in Los Fresnos. The longest running conjunto festival in South Texas will return on Oct. 19, 20, and 21. >> Los Cucuys de Rodney Rodriguez are scheduled to be performing at La Lomita Park on March 18. Rodney is one of the best accordionists around today and has been playing the accordion since the 1990s. Tickets will be $10. To see more about Los Cucuys de Rodney Rodriguez, check out one of the latest episodes of the Texas Conjunto TV Show on YouTube that is about him and his conjunto. >> At the Tex-Mex Night Club in Brownsville, Norteño and Conjunto Imprezzion will be performing Saturday night. No cover the entire night. DJ Beto will also be in the house. To reserve seats or for more information, call (956) 407-2307. >> Ramon Ayala y Sus Bravos del Norte will be performing at 10 p.m. Sunday as the final act at this year’s Borderfest. Presale tickets available at Boot Jack locations.